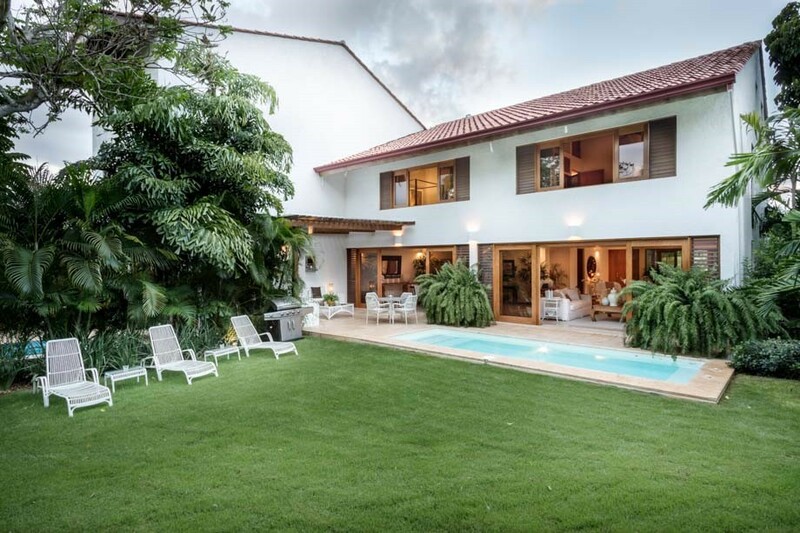 Villa Claro de Luna Casa de Campo Dominican Republic. 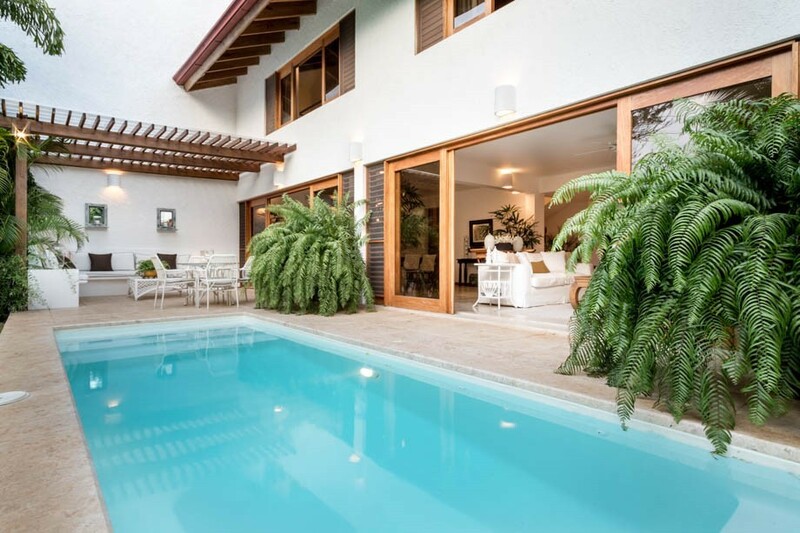 Only a short distance from lovely Minita's Beach in the Dominican Republic, and overlooking the world class golf course of Casa de Campo Resort, the Villa Claro de Luna is a fantastic find. 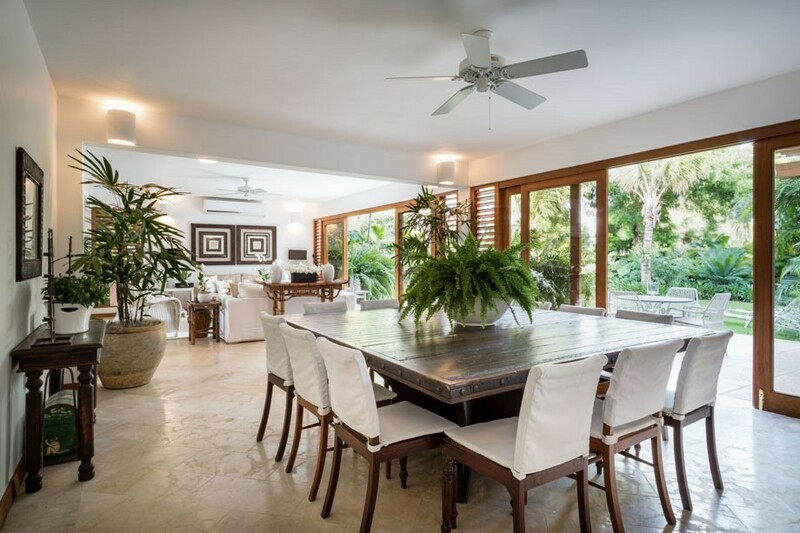 Ideal for a family or group of friends, it features a large array of indoor and outdoor living spaces as well as access to the resort's impressive amenities and services. 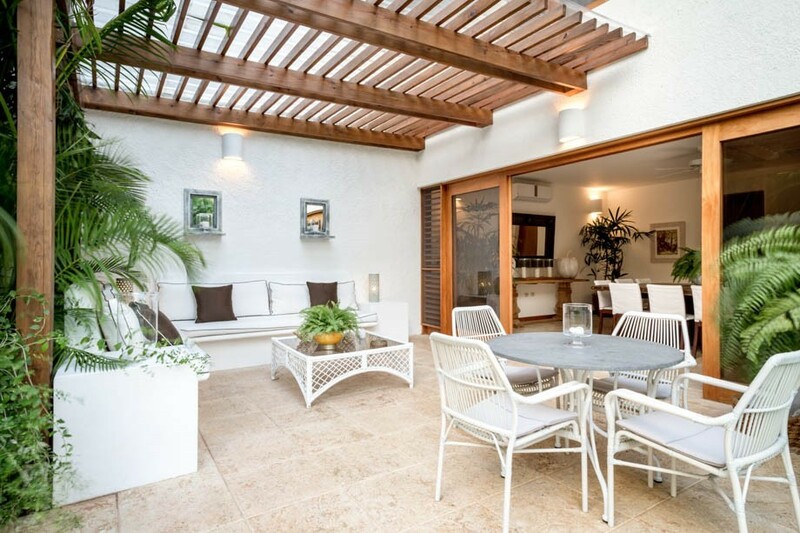 Guests love the privacy this four-bedroom villa offers, including that found in the private pool terrace. With a shaded portico offering al fresco dining and a large banquet on which to lounge, the pool terrace also includes the long and elegant stretch of private swimming pool. 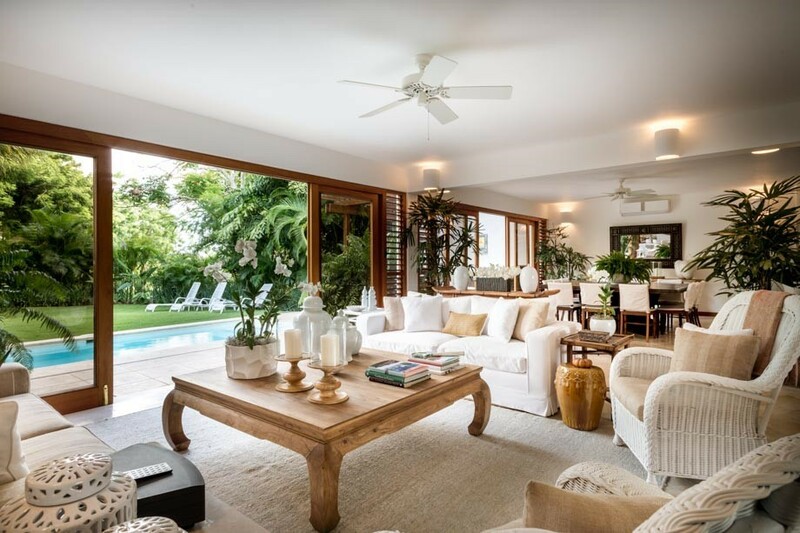 Framed by the lawn on one side and the villa on the other, the pool is adjacent to one of the formal living rooms and the formal dining area. 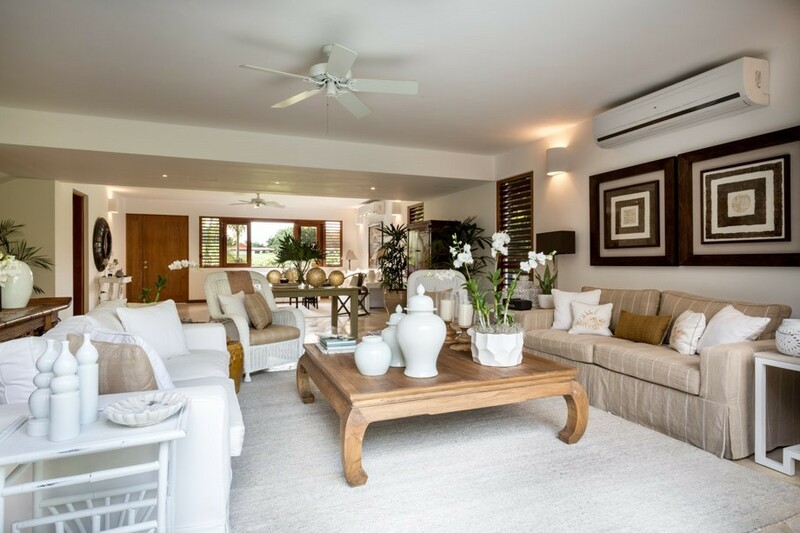 The villa offers a large and generous great room with several lounge areas, all furnished with a calming palette and many natural materials. 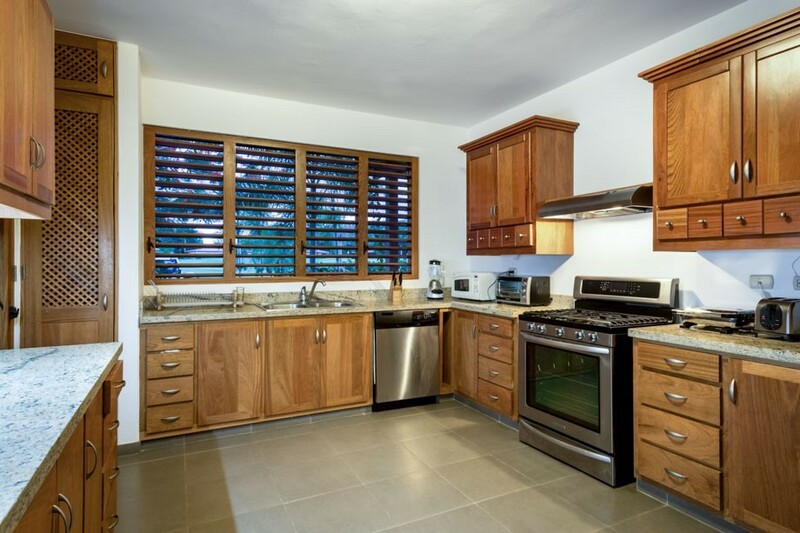 The dining area opens into the beautiful and modern kitchen that is furnished with the very latest appliances and looks out over the scenery. Enjoy daily breakfast service here as well, and rely on your household staff that includes the butler, housekeeper and concierge. 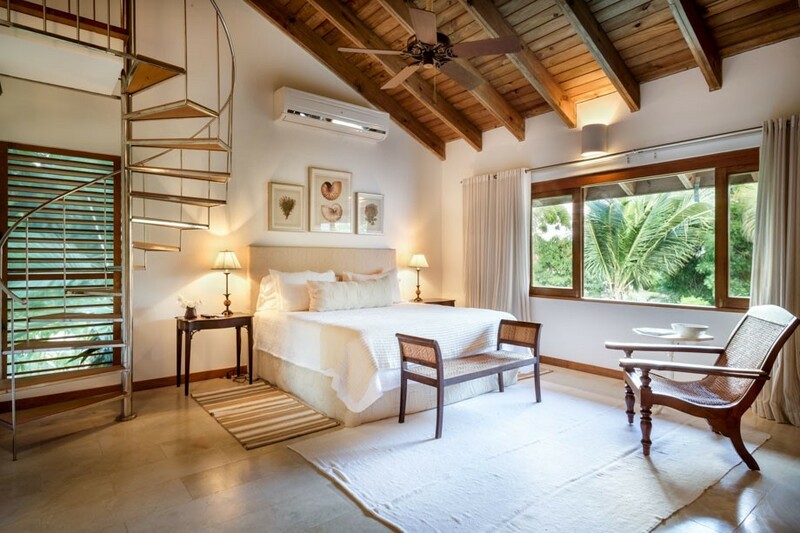 The four bedrooms are placed in the villa for maximum privacy and to enjoy the scenery. 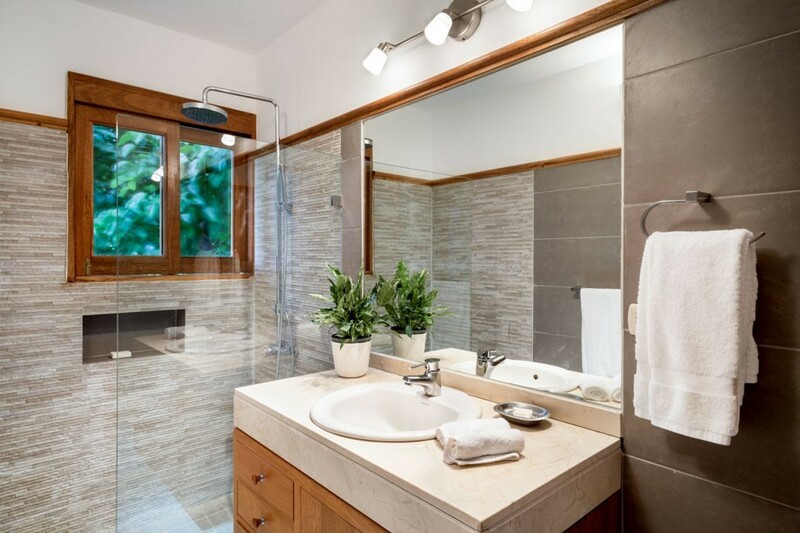 There is a single king suite that features a large marble bath and great views. 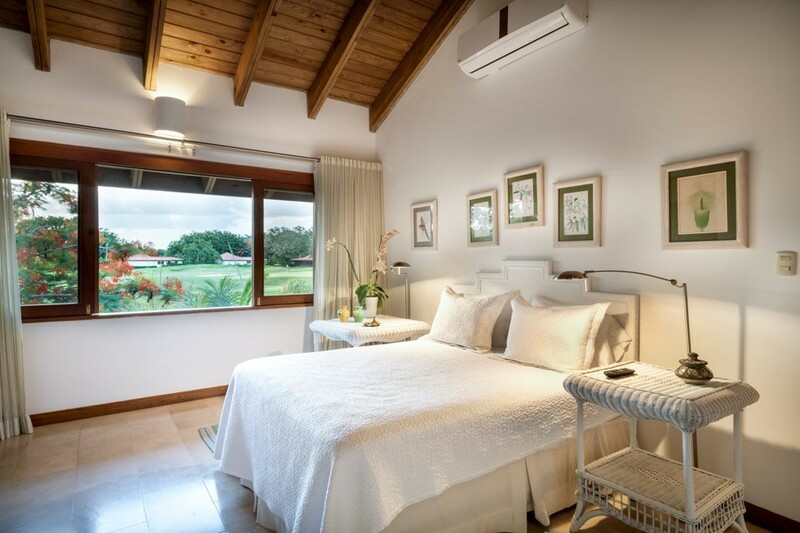 There is a queen suite that is also ensuite and features garden views. The two remaining suites offer two double beds and private baths, and they too provide impressive views. 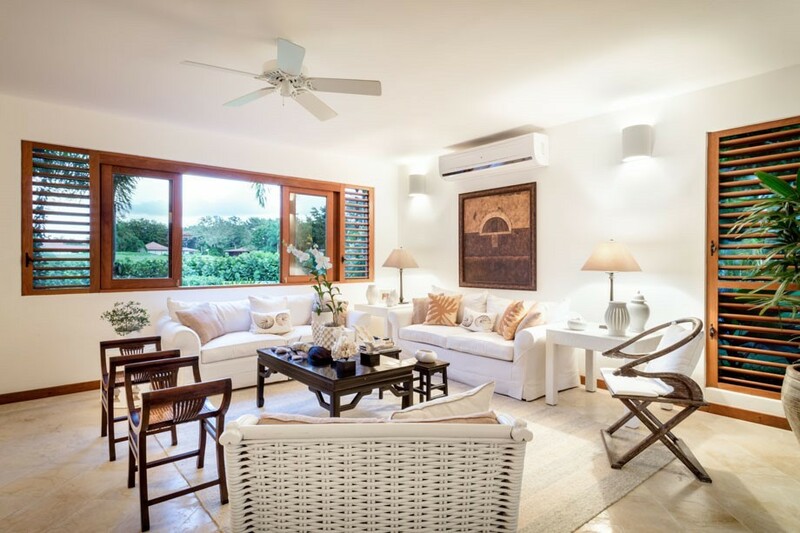 The Villa Claro de Luna is a perfect choice for groups or families seeking a luxurious spot with indoor and outdoor living and amenities that only a place like the Casa de Campo can provide. Bedroom 1: Bedroom with a king-size bed, A/C and en-suite bathroom with vanity and wc. 2 guests maximum. Bedroom 2: Bedroom with a queen-size bed, A/C and en-suite bathroom with vanity and wc. 2 guests maximum. 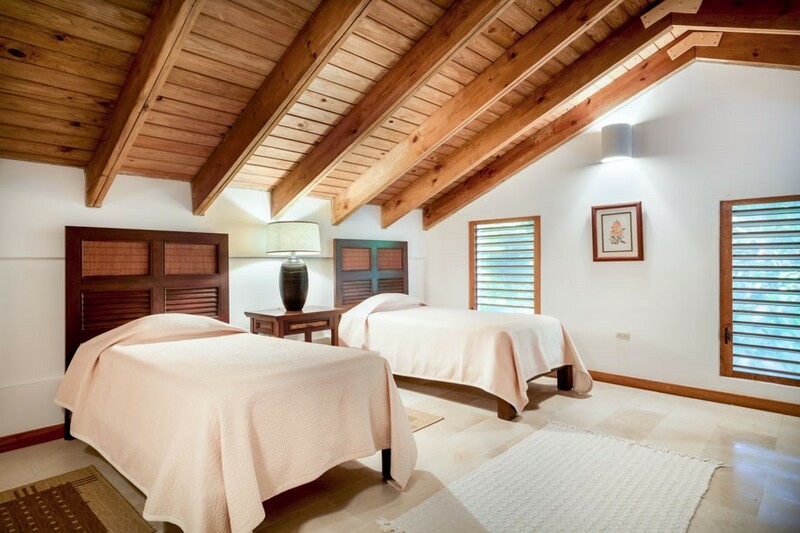 Bedroom 3 & 4: Bedroom with two double beds, A/C and en-suite bathroom with vanity and wc. 2 guests maximum. 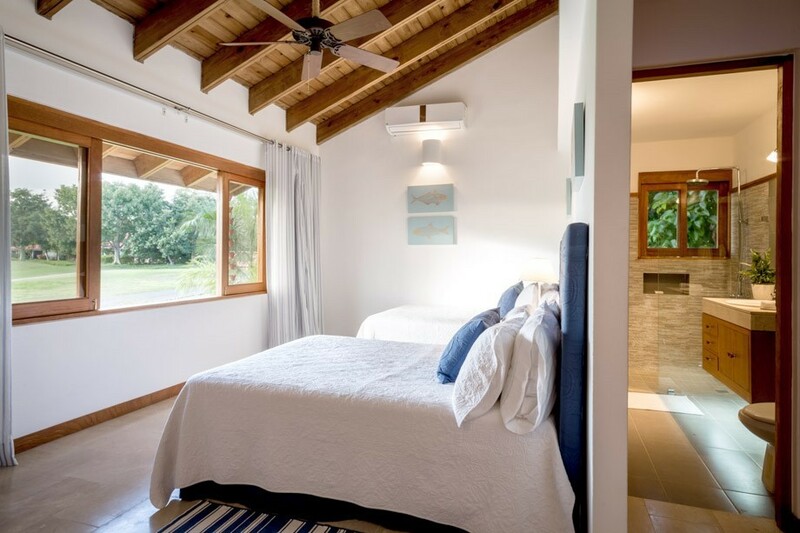 Claro de Luna is offering 33% off for travel between April 21, 2019 and October 31, 2019.